We live in a time where the necessity for clean energy and energy efficiency has never been more important. Reducing our carbon footprint has become part of how we now live our lives. 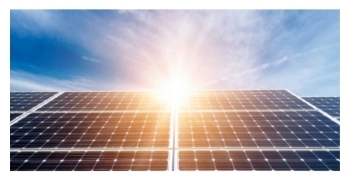 This includes solar energy as a quickly rising asset in design and development of new architecture, worldwide. Across Canada, United Churches are doing their part to address the climate crisis by getting their own Church in order by working to reduce their own carbon emissions, by measuring their energy use and reducing their climate pollution, in ways that save money and strengthen congregational renewal. The United Church of Canada is committing to reducing its carbon emissions by 80% by 2050, in line with the Paris Climate Targets, with an initial focus on buildings – one of the church’s largest source of emissions. As people of faith we recognize that to bring truly inspiring climate leadership to our communities, we must practice what we preach. Together we can renew our congregations, care for the planet as stewards of the earth, save money, and stop climate pollution. This benefits our world now, and for our future generations of children and grandchildren. As congregants and good stewards of the earth, we have a responsibility to uphold the values of our United Church mission. Woodlawn will become a trailblazer in the community for Energy efficiency and carbon reduction. We want to be leaders and teachers setting examples for other churches, members and our community. Hot off the Presses! The project was featured in the Chronicle Herald on September 17, 2018. If we produce more power than we use the excess is fed into the Nova Scotia Power grid through the electrical meter. The PV system has no moving parts, requires no maintenance, and has an expected lifetime of 50 years, possibly more! 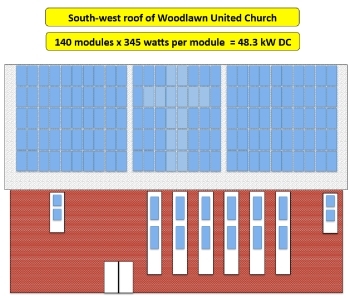 Solar Energy has been on Woodlawn United’s radar for many years. During the Accessibility project it was considered, but due to feasibility at that time, it was postponed. 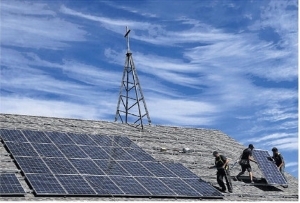 This year, the City of Halifax established a new Solar City program to help give residents, churches, and Not for Profit property owners the ability to become our own power producer. With up front project coverage and a fixed 4.75% interest rate over 10 year maximum, the possibility of this project was realized. More information on Solar City can be found on the Halifax Website. 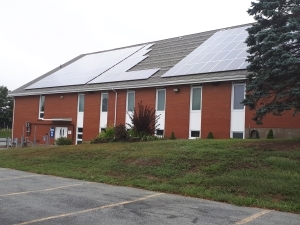 If you would like to make a donation to the Solar Panel System Fund or any other fund of Woodlawn United Church, please click the button below or contact Barry Zwicker or Dennis Dean thorugh the office office@woodlawnunited.ca or 902-434-8302. We acknowledge that we live, worship and work on Indigenous land. We are committeed to Reconciliation with Indigenous peoples and recognize that includes aligning ourselves with the values of living with care in Creation.